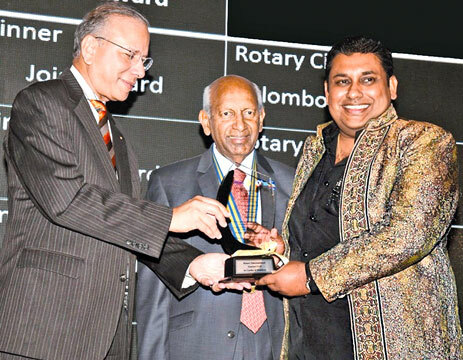 The Rotary Club Colombo West 56th President Roshan Perera was awarded the Best President Award in Colombo recently held at Galadari Ballroom. They also won the ‘Best Club’ in the large category and ‘Best Treasurer’ award which went to Rtn. PP. Harin Fernando. The event was held to recognise the humanitarian work done by 72 clubs in Sri Lanka and Maldives. The 400 guests who joined the award ceremony experienced unique perspectives on the work and achievements of the awardee President and Club. The awards are meant to encourage Rotary to continue on its path to serve as an encouragement for the younger generation of Rotarian entrepreneurs. Speaking at the event Roshan Perera said, “The Rotary Club of Colombo West is the largest club in Rotary District 3220, pioneering many and important projects for the community at large ranging from providing Hydro Electricity, providing shelter, Eye Clinics, De-mining, Donation of Wheel Chairs, Computer Literacy and Solar Lighting. He added, “I wish to thank my friends and fellow Rotarians who rallied around me and persuaded me to take up the various social service projects.